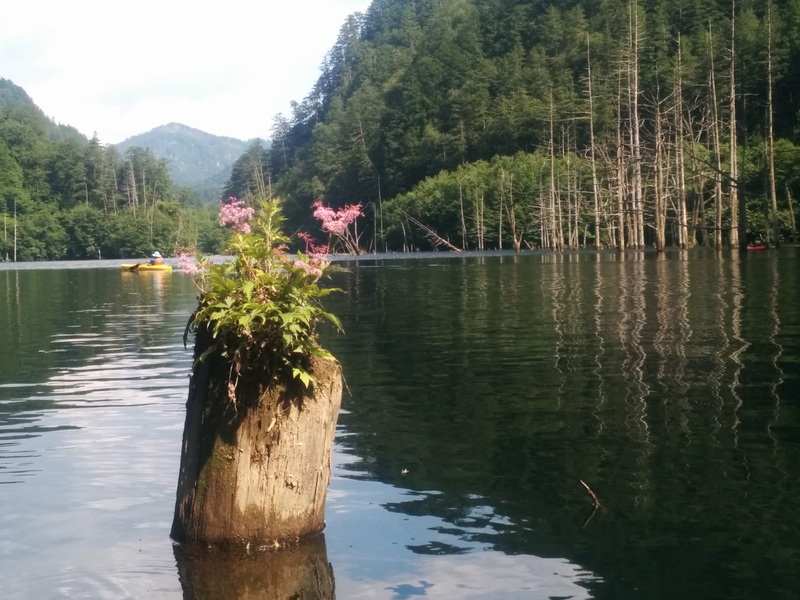 Lake Shizenko lies deep in Mt. 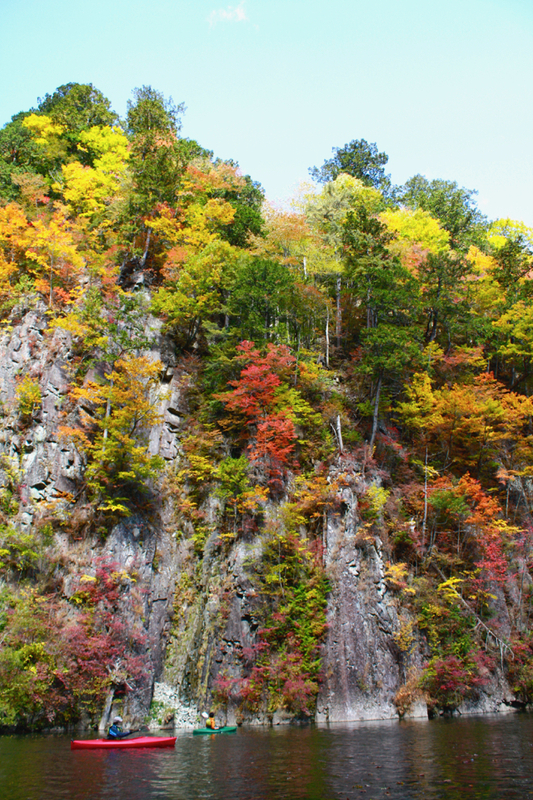 Ontake’s foothills en-route to the picturesque hamlet of Takigoshi. 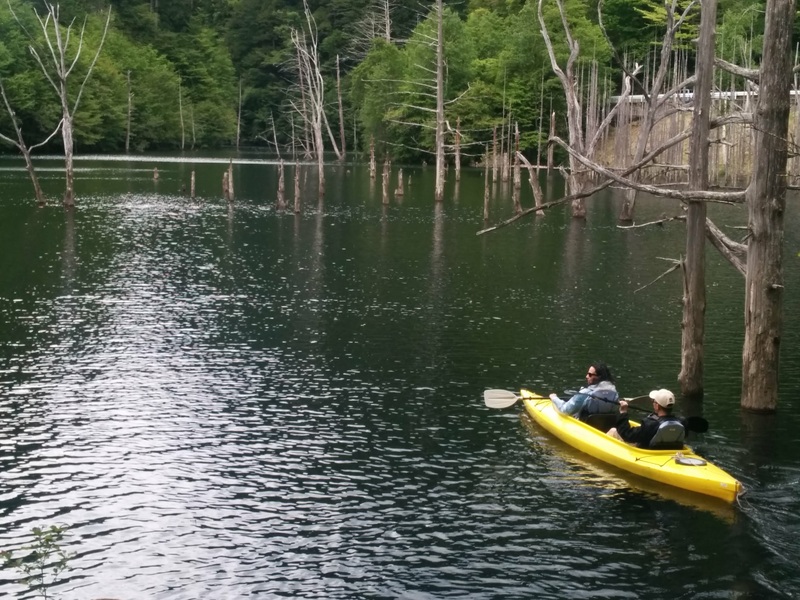 Literally meaning “Nature’s Lake,” it was formed when the southern flank of Mt. Ontake crumbled during the Otaki Earthquake in 1984. 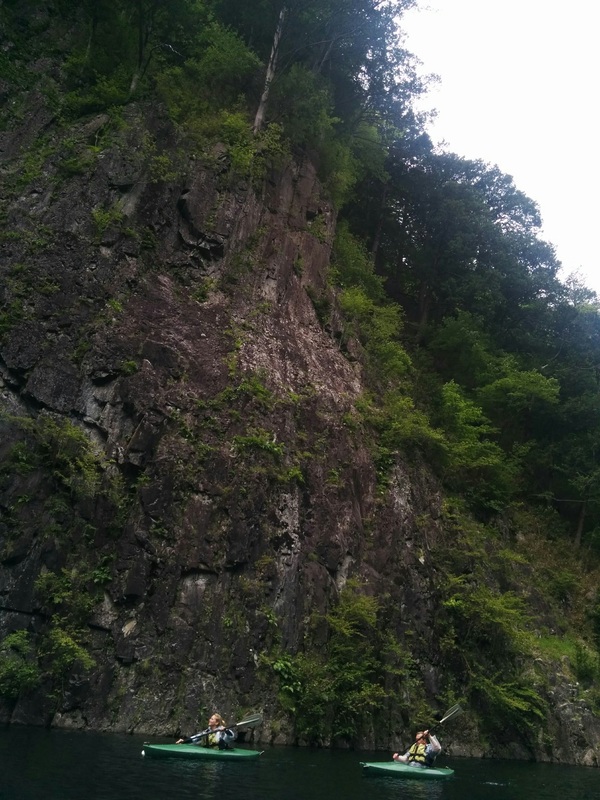 The massive landslide altered the course of the Otaki River, damming the area that’s now known as Lake Shizenko. 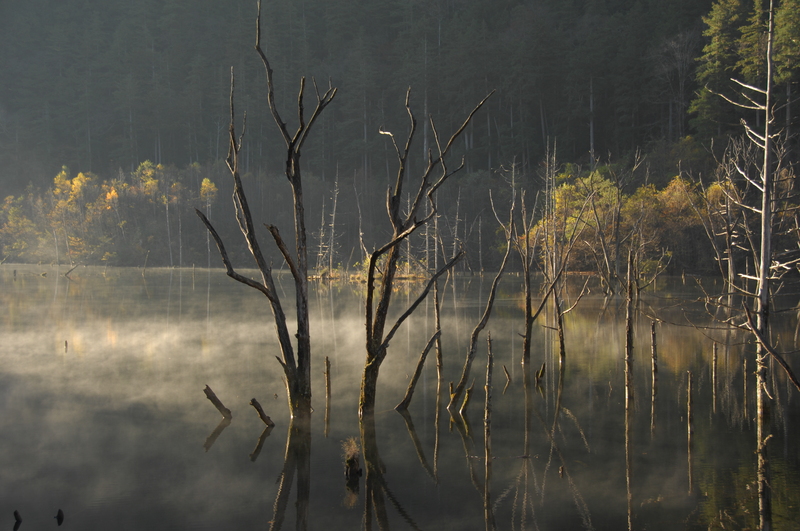 A section of the forest was submerged at the time, and the remains of its trees still rise through the surface like wooden skeletons. The result is a unique and otherworldly atmosphere that fits Mt. Ontake’s ties to the beyond. 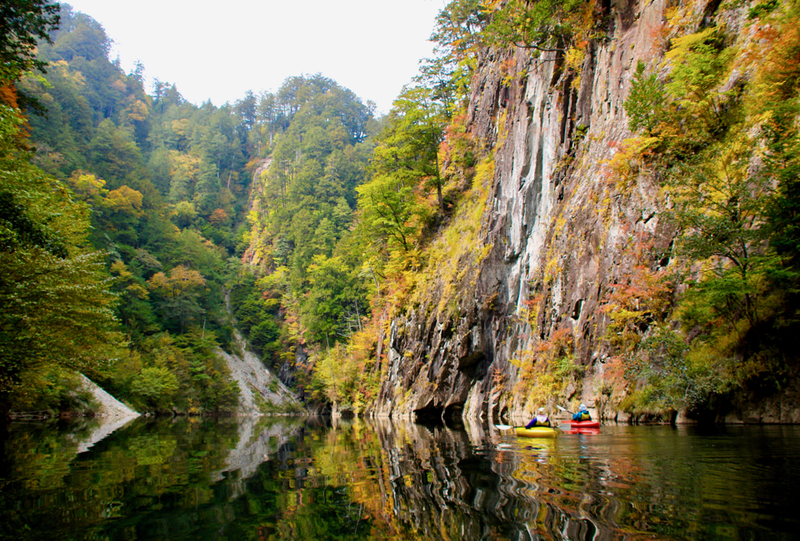 Another tour highlight is paddling through a spectacular canyon only accessible from Lake Shizenko. Kayaking here is a peaceful way to spend half a day far off the beaten track in a corner of Otaki like nowhere else in Japan. 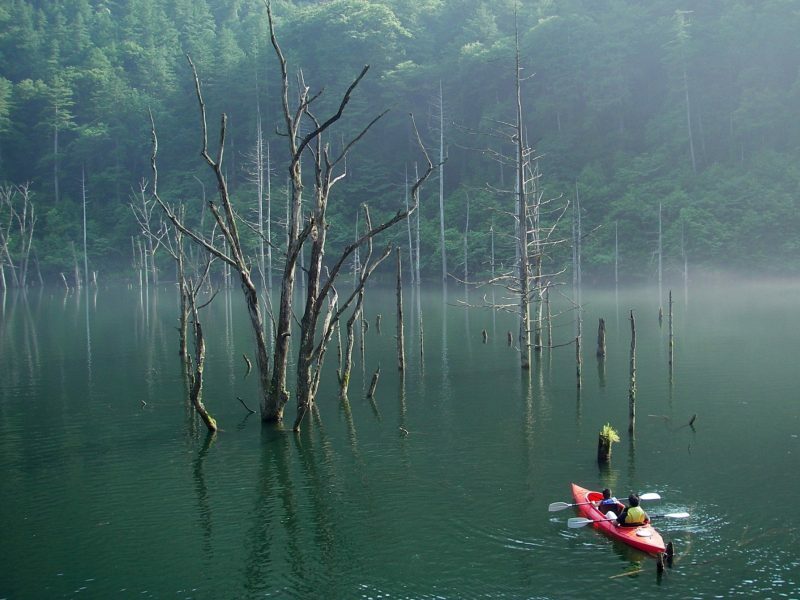 Ontake Adventure has been operating kayak tours of the lake since 2005. The half-day trips take place from May to early-November and must be booked in advance. 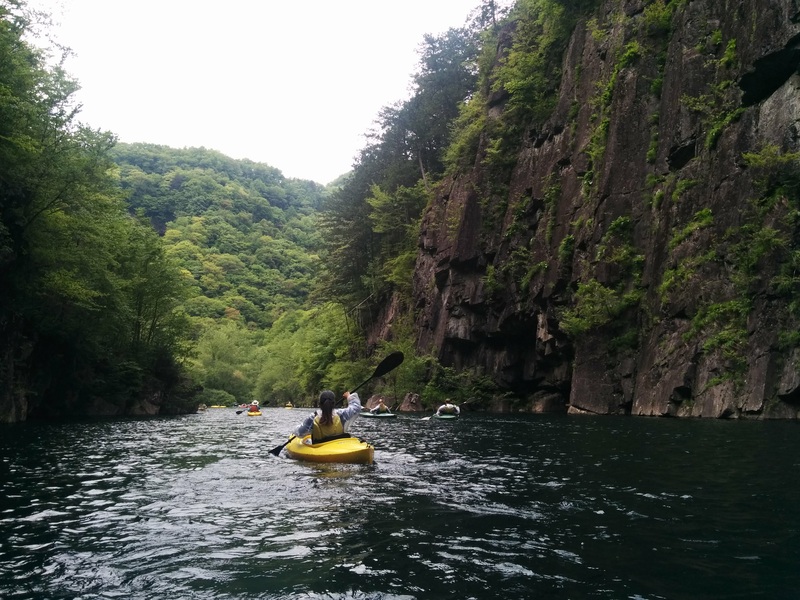 Ontake Adventure received an ecotourism award from Japan’s Environmental Ministry in 2015, and a Tourism Expo Japan award for community service in 2017. Access: At the moment access is only by car. This will likely change in 2018. 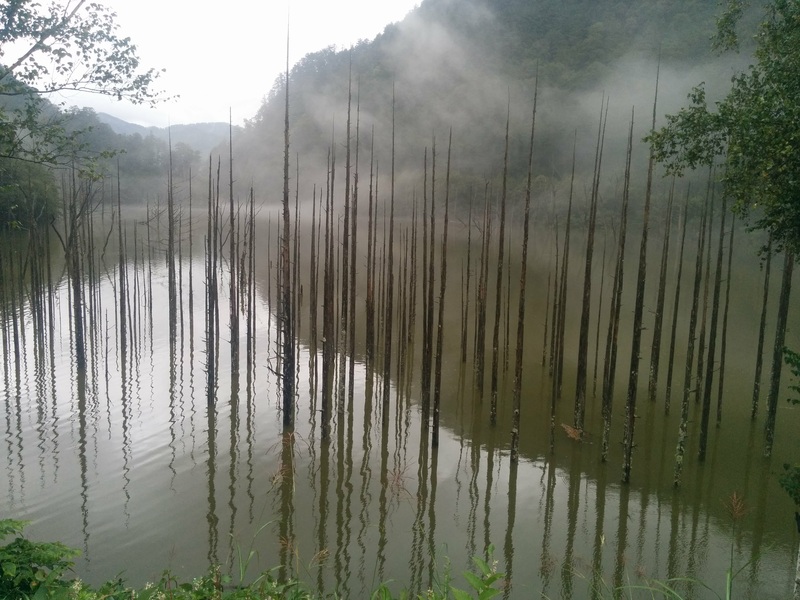 Lake Shizenko is referred to as “Ontake Natural Lake” on Google Maps.